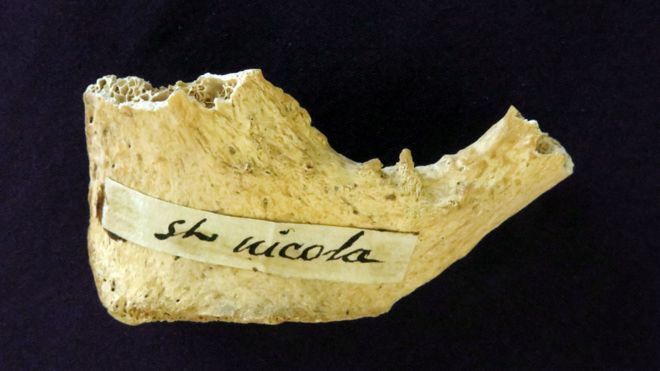 Archaeologists say they are finding increasing evidence that a site near Loch Ness was important for burials in the Bronze Age. 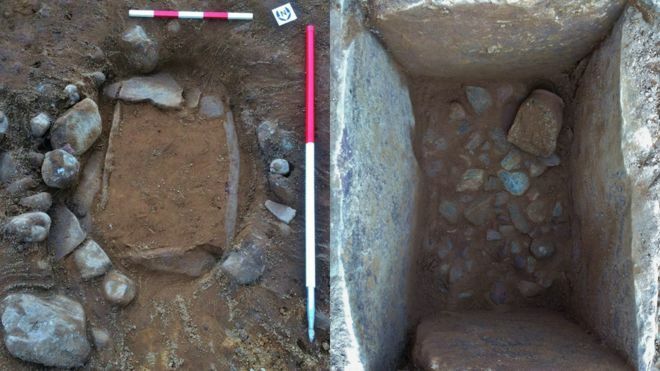 A second 4,000-year-old grave has been located in an area being developed in Drumnadrochit where a stone-lined grave known as a cist was found in 2015. The discovery two years ago included human remains. The latest grave had filled with soil causing degradation to the pit, but a single Beaker pot was found. Archaeologists said the decorated pot may have held an offering to the person who was buried in the cist. The first grave was discovered during work constructing the new Drumnadrochit Medical Centre and excavated by AOC Archaeology Group. Metal detecting has a contentious history within the heritage community. There’s been reason for cheer in metal detecting circles, with the news this month that 2016 saw a record number of finds reported to the Portable Antiquities Scheme. This announcement has spawned numerous congratulatory reports – including in the Guardian – detailing the wonderful things found, the back-stories of the lucky finders, and the sometimes extraordinary sums of money their finds have fetched. The rise in finds is attributed to improved detector technology and an increase in the number of people taking up the hobby, encouraged by recent spectacular finds and the popularity of the BBC’s Detectorists series. Within the archaeological community the response has not been quite so cheerful. Several archaeologists have complained to me about the Guardian appearing to promote metal detecting as a harmless leisure pursuit, and online there’s been a distinct rumble of archaeological discontent. So why are some archaeologists upset about the swelling ranks of detectorists and the flood of important finds they’re turning up? The explanation lies in the uneasy relationship between archaeology and metal detecting which stretches back over the last 50 years. Katherine Grainger and Anna Watkins celebrate Olympic victory in 2012. Neolithic women’s arm bones were about 30% stronger than those of women today. Prehistoric women had stronger arms than elite female rowing teams do today thanks to the daily grind of farming life, researchers have revealed, shedding light on their role in early communities. The study of ancient bones suggests that manual agricultural work had a profound effect on the bodies of women living in central Europe between about the early neolithic and late iron age, from about 5,300BC to AD100. “We think a lot of what we are seeing is the bone’s response to women grinding grain, which is pretty much seated but using your arms really repetitively many hours a day,” said Dr Alison Macintosh, co-author of the research from the University of Cambridge. A stone carved with symbols known as runes and dating to the Middle Ages has been discovered during an excavation ahead of a railway-construction project in Oslo, Norway. The runes, which were found engraved on a whetstone (a stone used for sharpening knives), date to sometime around 1,000 years ago when the Vikings (also called the Norse) flourished in Norway. The runic writing system conveyed a language and could be used to record and convey information as well as cast spells. Each rune formed a letter or sign and a combination of runes could spell out a word. Who engraved the runes on this newly discovered stone is unknown. The Lendbreen ice patch, September 1974. Young student Per Dagsgard from Skjåk was visiting the ice patch to search for remains from ancient reindeer hunting. Little did he know that he would make the archaeological discovery of a lifetime on this day – a find still surrounded by mystery. Dagsgard hiked from the valley up to the ice patch in about two hours. When he arrived at the lake in front of the ice, he could see that the ice patch had melted back considerably in the previous years. Dagsgard went around the lake and came close to the lower part of the ice patch. He suddenly saw a long wooden stick lying among the stones. A large iron object was situated at one end of the stick. When he got closer, it became clear to him that it was a complete spear, with both the spearhead and the shaft preserved. As Dagsgard had a keen interest in history, he knew that Viking Age arrowheads had been found at the Lendbreen ice patch previously. His immediate thought was that the spear dated to the Viking Age as well. He was right.